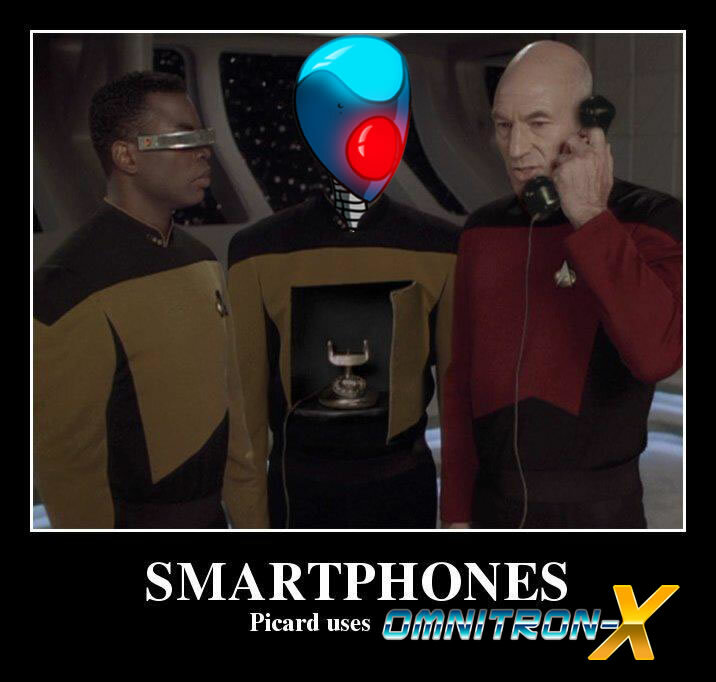 Now that Apple has officially announced the release of the next evolution of iOS, we can finally tell you about the cool new stuff coming to Sentinels Sidekick. We think it’s pretty exciting! You might be thinking, “Another update? We got our visible effect tracking, what else could they have possibly been working on?” Well the fact is, some of the new technologies in iOS 7 were just too cool to ignore, especially given what we can do with them to enhance the Sentinels of the Multiverse experience. We'd like to give you a preview of what's in the next free update to Sentinels Sidekick. We’ve refined the colors and added motion and transparency effects throughout the app. Sidekick has never looked nicer or worked smoother. Villans and heroes have difficulty and complexity ratings so you are sure to have just the right combination of fun and challenge. You can see the ratings while selecting a deck, or have a game randomized at a particular difficulty level. And finally in the “tweaks” department, we’ve updated the target card system to make sure that you can’t put more copies of a target into play than exist in a villain or environment deck. It’s a little thing, but it helps. In the realm of “more drastic updates,” Sidekick 2.0 brought notes, and 2.0.1 made those notes visible on the faces of targets. But we found that we just couldn’t leave well enough alone. 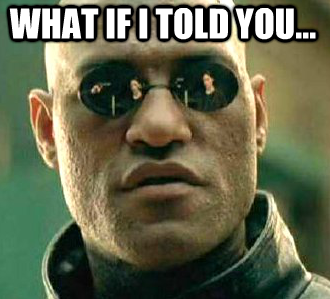 What if I told you, we made a custom effects keyboard that allows you to create any effect in the game with just a few taps? Madness? OR GENIUS?! The biggest request we were constantly getting before 2.0 was “can you please add effect tracking?" We brainstormed for days about the best way to handle it and we thought we came up with something pretty useful. But with the new effects keyboard in Sidekick 2.1, you really can leave ALL of the cardboard tokens in the box. We think you’re gonna love it as much as we do. It may not be apparent what’s going on there so I’ll explain. Every device on that table is tracking the same game, at the same time, “automagically” as it were. This is another area where you can thank iOS 7. This particular voodoo is called “Multipeer Connectivity” and it means that you can start a game on one device, and then up to 7 other nearby devices can join up with just a couple of taps. It works with iPads, iPhones, and iPod touches in any combination. But this is more than just passively watching; anyone can change hit points, add targets or edit effects on their own device and it will automatically update across all other devices! For bonus points, you could drop an iPad in the middle of the table as a “large display” and everyone can edit their own hit points from their own phones. If that sounds cool from my description, just wait till you use it. If you noticed a distinctly “iOS 7 is great” theme throughout this post, you are not imagining things. Most of the new features in Sidekick are only possible thanks to new technologies introduced with Apple’s newest operating system. That’s why Sentinels Sidekick 2.1 will require iOS 7. For most players, this won’t be a problem as history shows that the vast majority of iOS users upgrade pretty quickly. 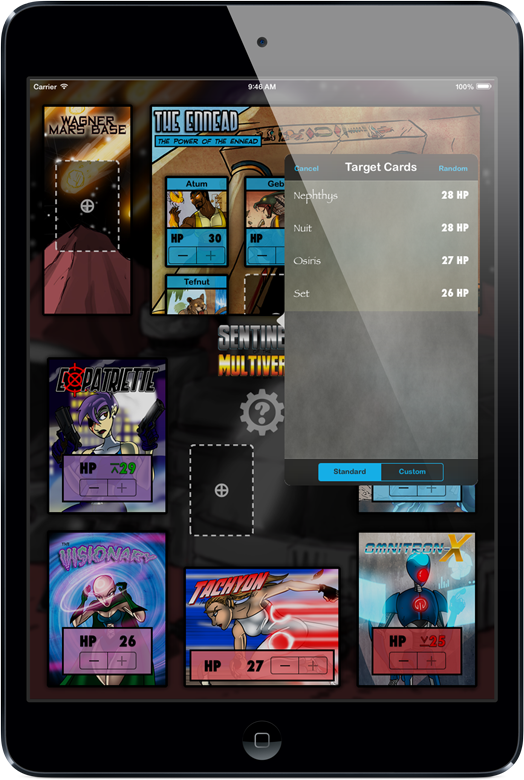 However, we do recognize that some Sentinels of the Multiverse players have older devices that won’t support the new OS. iOS 7 supports iPhone 4 and 4S, iPhone 5, 5C, and 5S, iPod touch (5th gen), iPad 2, iPad with Retina display, and iPad mini. If you have one of these devices, we recommend updating as soon as possible. If you don't, Sentinels Sidekick 2.0.1 will continue to work great as long as you want it to. Either way, if you’ve been wondering whether you should take the plunge on the Sidekick, now is the time! We still have some work to do to finish up Sentinels Sidekick 2.1, but we're planning to release it it before the end of September. Sidekick 2.1 will be a free update to the existing app. If you have updated to iOS 7, you'll be all set. If not, you will still be able to download Sentinels Sidekick 2.0.1. Because we want as many folks as possible on this bus, we’re dropping the price by a dollar from now until 2.1 is available. Get it while it's hot; only $3.99 for a limited time!